Well, let it be known - Philly Phoodie has officially moved out of the city. That's right, welcome to suburban life. This doesn't mean that my search for the best food is winding down, on the contrary, I am casting an even wider net. 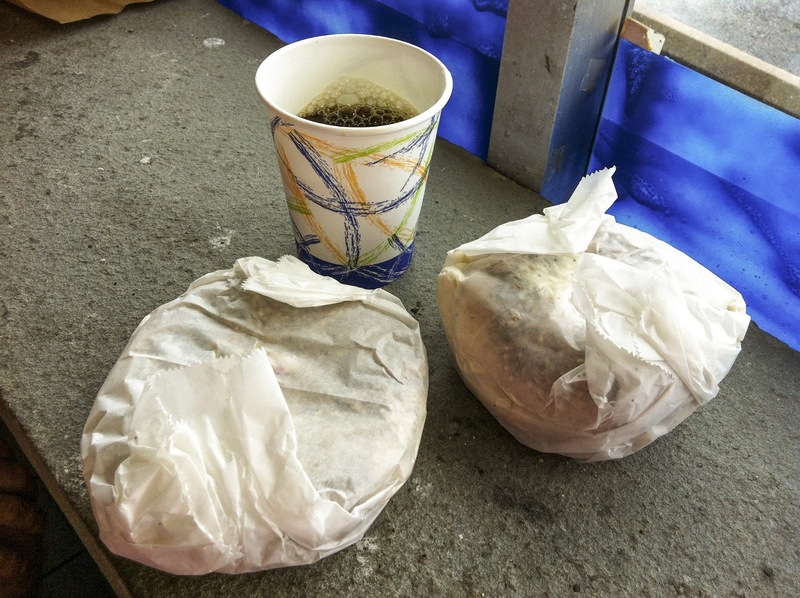 Keeping busy with a new house and the move has been arduous (hence the shortage in posts) but all of the long days full of monotonous tasks facilitate an extraordinary need for a filling breakfast. First catch in my official suburban net happened to be an authentic kosher bagelry. 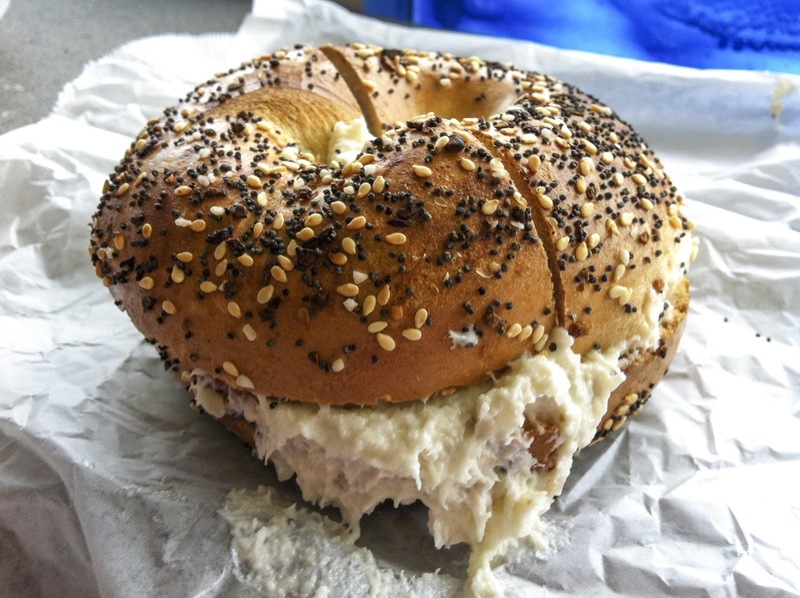 New York Bagels is located in a very non-descript strip mall on Haverford Ave just off of City Ave/Rte 1 - you can't miss it though because it's right behind a very obnoxious McDonald's. When you find it, you'll be so glad that you did. There is a lot to see inside and the overwhelming smell of fresh baked & seasoned bagels will have your mouth watering right off the bat. 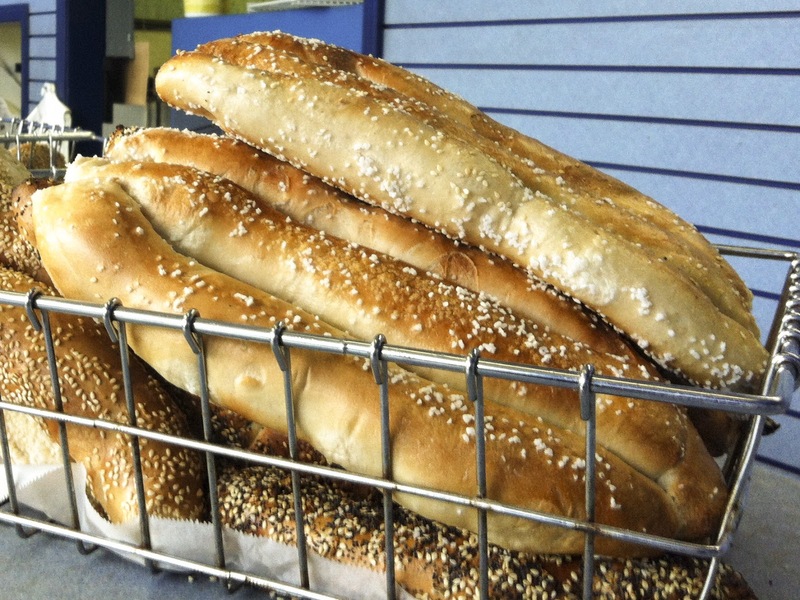 On top of the standard bagel case are a few additional offerings (including the above pictured bagel sticks) and one item, in particular, was calling to me. 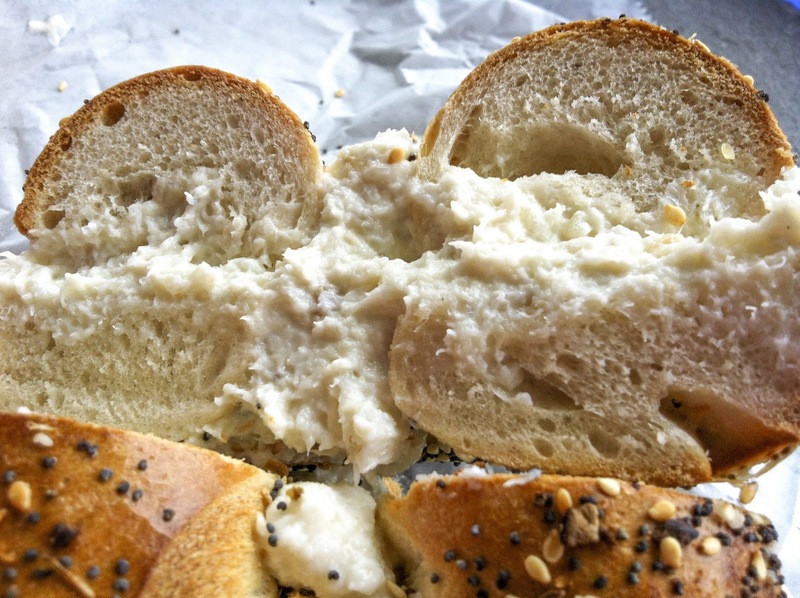 Just look at the coverage on these everything bagel flats. 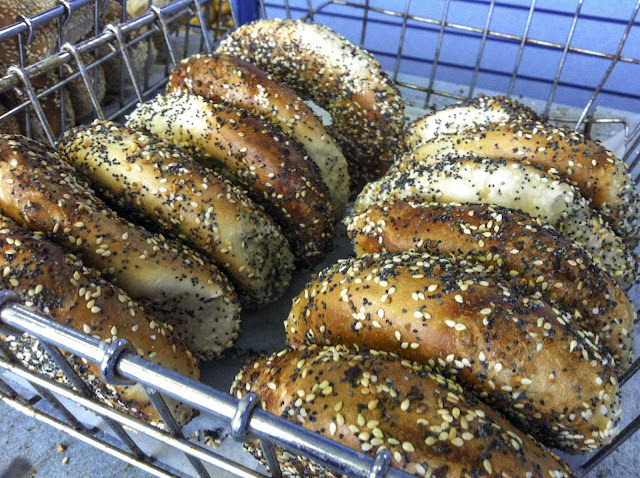 They're so thin with such a dense coating of salt, garlic, seeds and deliciousness, I couldn't wait to place my order. When I finally got to the register, I was greeted by the man himself - owner Nick Abdoul. 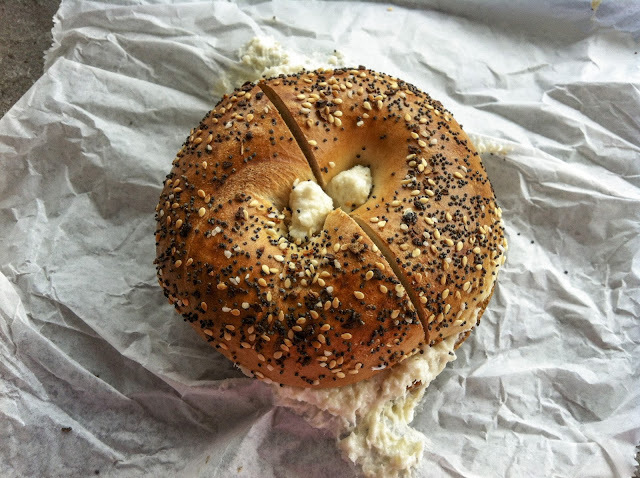 He is very kind, helpful and he definitely knows his bagels. 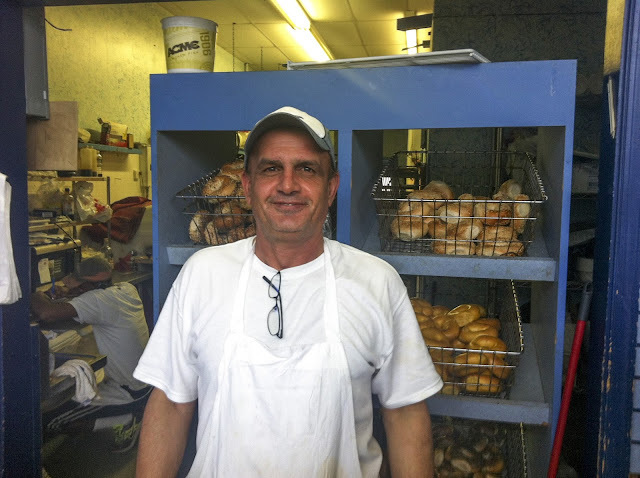 For about 15 years, he's been boiling and baking the best bagels in Philadelphia. 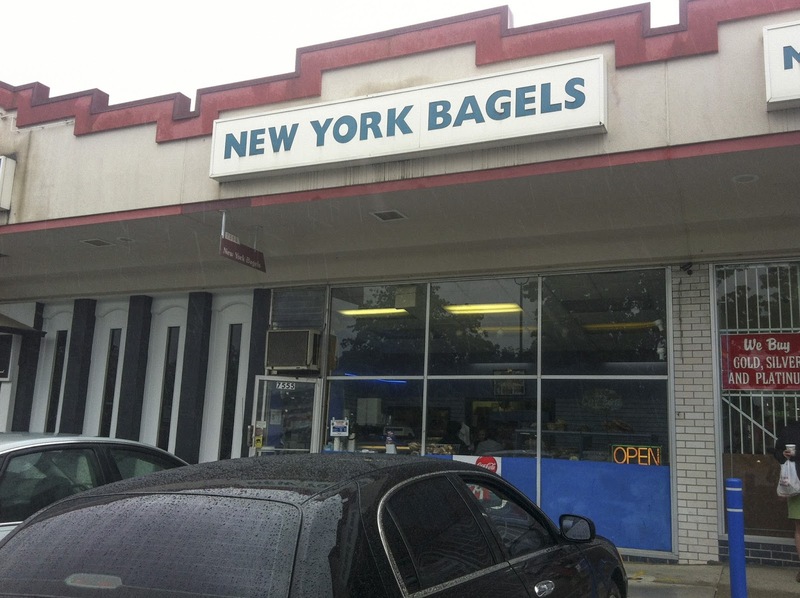 Full disclosure, don't even try to go on a Saturday - they're closed to keep Shabbos. This shouldn't come as a surprise, after all it is an Orthodox operation! There's a "serve yourself" coffee station, so don't be shy - pour your cup as soon as you walk in. Being the whitefish salad lover that I am, I couldn't not order it here. Even with those amazing bagel thins on my mind, I had to try the classic everything. 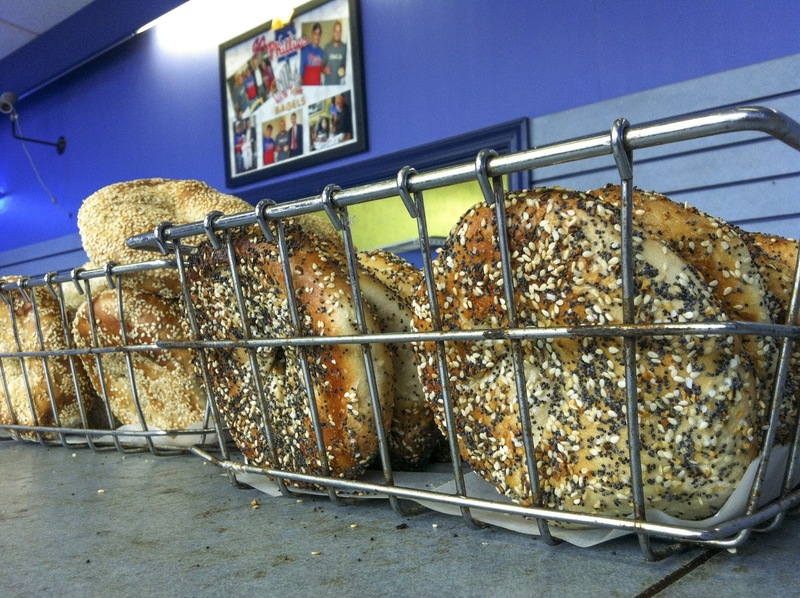 Crusty outside, chewy inside, these bagels don't need toasting. Not even for a second. They are perfect. The whitefish got a little sloppy, as to be expected, but the flavor was right on. Creamy texture with that punch of smoky fish in every bite. My only critical comment here is that I would have liked some other accoutrements like tomato, red onion and/or cucumber to add some crisp, vegetable variety. 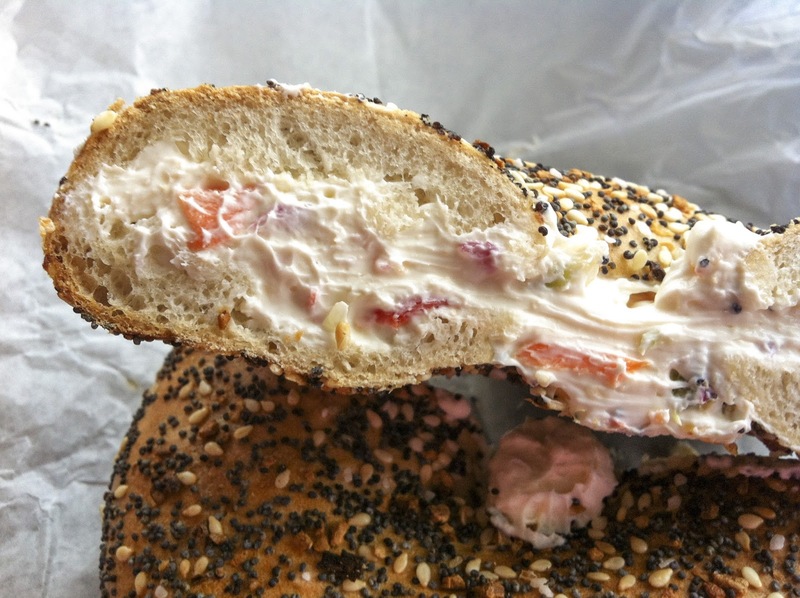 Next up was that gorgeous everything flat with a smear of house-made veggie cream cheese. Amazing. Thin, but not so thin as to lose that perfectly chewy inside. So flavorful. The vegetable cream cheese had larger than usual chunks of red pepper and cucumber that added just the right amount of crisp freshness that I was looking for. 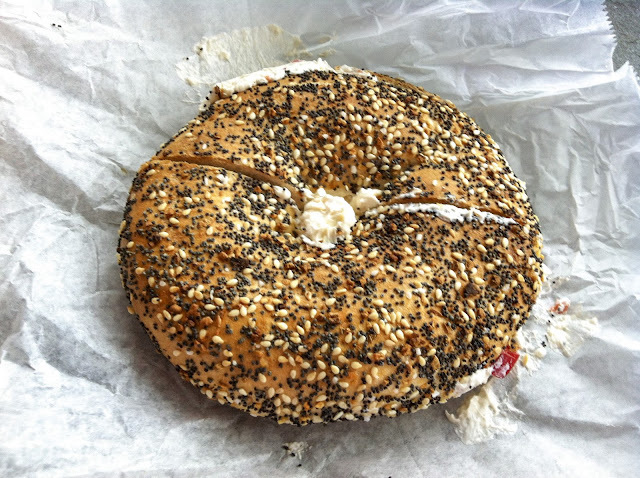 We got 4 bagel thins to go and ate them over the next 2 days. Day 2 was probably pushing it, they were a little rough on the jaw by then, but my god, these things are good. Don't even think about getting your bagels anywhere else. I loved this place back when I lived in Ardmore, used to go at least once a week. 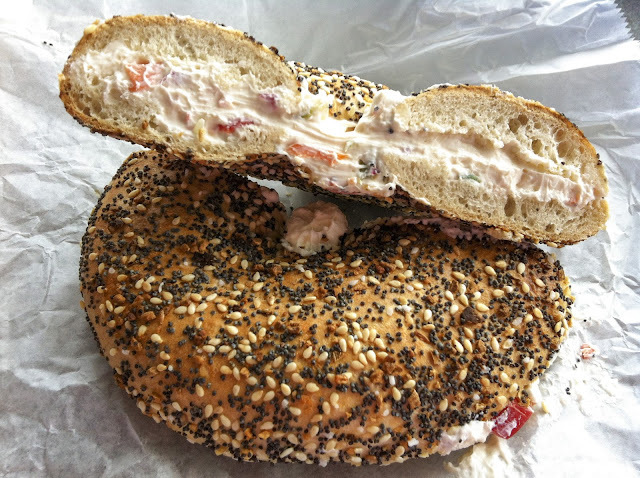 Everything bagel, cream cheese, lox, tomato - perfection. 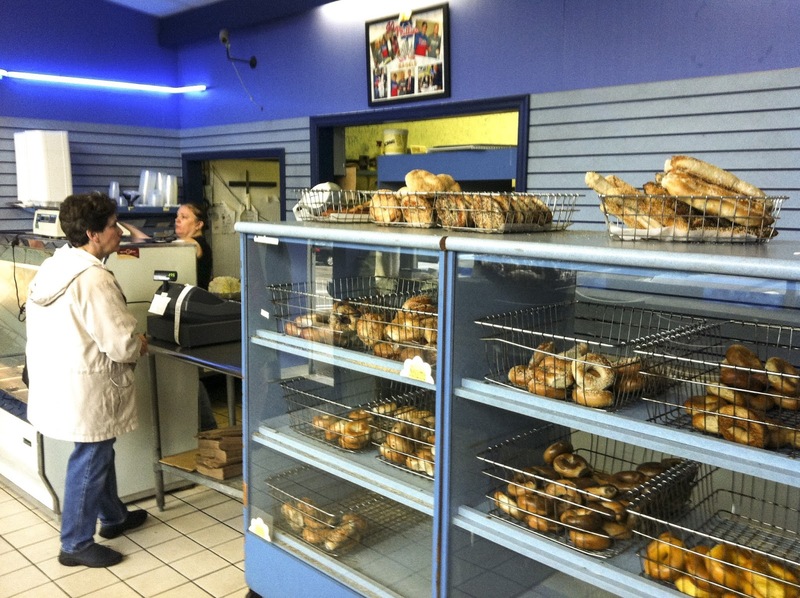 If you haven't before definitely check out Carlino's on County Line, it's the Italian food Mecca of Ardmore. I grew up in Brooklyn but these are among the best bagels and cream cheeses, white fish salad I have ever had in my life. And I have lived over seven decades. Highly recommended.